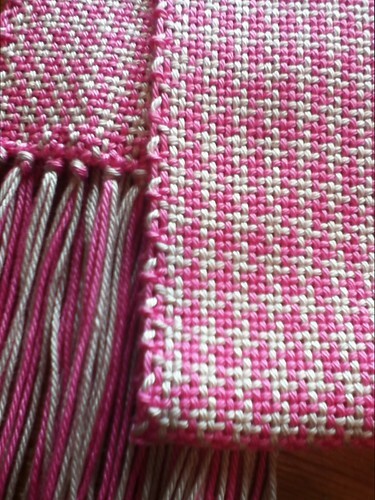 This may be the fastest item I’ve ever woven. 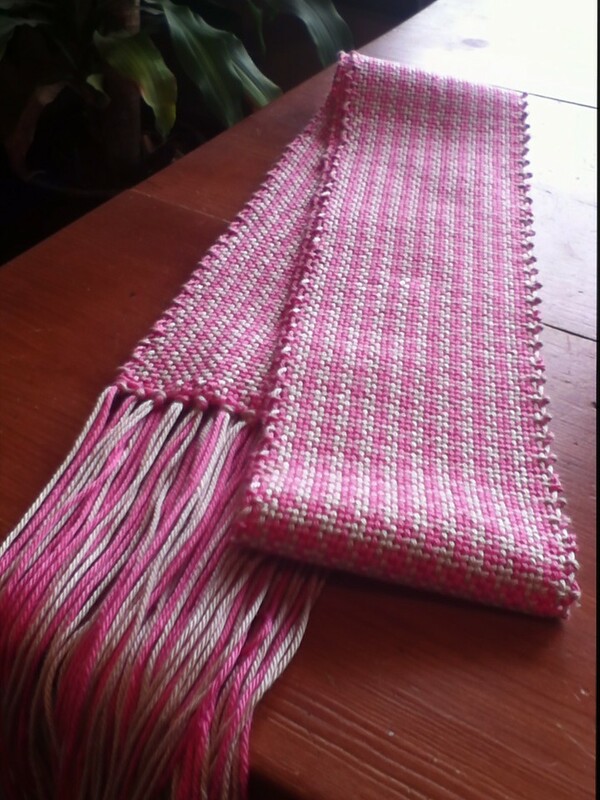 It’s a scarf on the Glimakra Emilia using pink and white cotton. The warping and weaving took a total of two and a half hours! I’ll post the “finished” picture tomorrow.